Back in the year 2000, the government executed the unbundling of the Posts and Telecommunications Corporation of Zimbabwe (PTC), a sprawling organisation which was, at the time, the single entity that represented state owned communications. This resulted in the carving out of of TelOne, NetOne and Zimpost, three standalone companies which would operate as separate entities with individual mandates. In addition to this, the newly formed TelOne was also saddled with PTC’s debt. This was a strategy focused on accounting and corporate finance practices that effectively parked the financial obligation outside the government’s door. Fast forward to 2015 and the debt hasn’t gone away. Net liabilities place it at $163 million. In fact, it is still causing headaches for TelOne, creating a hole in its balance sheet and interfering with any bright sparks of good performance from TelOne. It’s become more apparent as the operator has evolved into more than just a provider of fixed telephone lines and dial up internet. With an expanded product suite, an aggressive marketing strategy and reinvention that has shed the PTC tag completely, its safe to suggest that TelOne has been stating its case as one of Zimbabwe’s more vibrant telecoms operators with a strong pulse on internet services. Over the past couple of years there’s been a new lease of management leading this new age focus and from the looks of things it has very big dreams. However, as with all cases of telecoms growth and transformation, it doesn’t come cheaply. Besides embracing its throwback infrastructure and rolling out the only ADSL service in Zimbabwe, TelOne has gone on to tap into its extensive fibre infrastructure. This has spun off services such as a Fibre to the Home suite, a Metro WiFi network that has triggered a shift in mobile broadband, and in 2015 it has had a huge impact on broadband pricing for both fixed and mobile internet products by re-carting its internet packages. To extend this run, or beat it, TelOne is faced with alternatives that include creating a wider coverage of internet services, extending the presence of its fibre, upgrading the ADSL capacity and tinkering with voice services in a way that might eventually kill the one product that made TelOne a household name. Why is the debt assumption an issue now? In all of this TelOne is no different from other local telecoms operators. It needs to borrow money to fund these ambitious plans. Which is where that debt issue rears its ugly head. The government has now been asked to step and assume this debt. One of the motivators for this approach has been financing pledged to TelOne by the Chinese. For TelOne to secure these funds, it has to make a better show of its balance sheet, ensuring that some of its assets can then act as collateral for the loan. Besides this technicality, there’s every reason to suggest that TelOne deserves this hand-up from government. After all, as the main shareholder it probably should have come up with a better way to handle the debt in the first place, eyeing the opportunity that the internet would provide for TelOne’s growth. TelOne is also on a good streak right now. It recorded a pre-tax profit of $17,7 million for the year ended August 2015, which is a 187% increase form the $6,2 million registered in the previous financial year. Annual revenues also went up by 7% to close the year at $162 million. 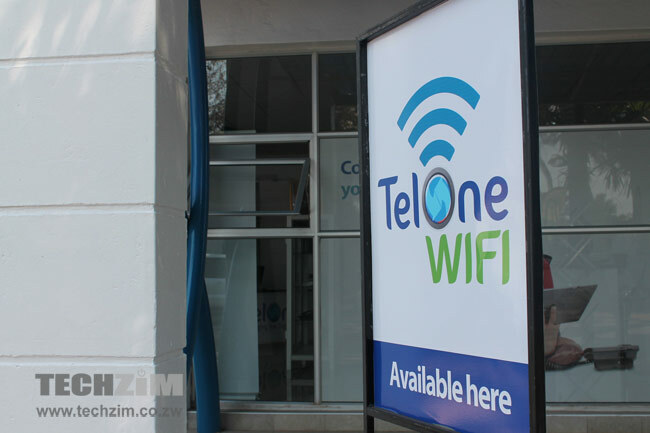 It’s one of those parastatals that give hope to the government, which would explain why the Minister of ICT, Supa Mandiwanzira has reportedly expressed satisfaction with its performance and highlighted the importance to warehouse TelOne’s debt. The Minister of Finance, Patrick Chinamasa, has also been reported as saying that government would consider TelOne’s profitability before the debt takeover. The question though is whether or not this is the right thing to do for a new TelOne that is slowly defining itself as a true corporate competitor in Zimbabwean telecoms. Without help from the government It has started to define itself as a game changing operator with the potential to upset the status quo in telecoms. This warehousing of debt feels like a step into old habits. The fact that TelOne is a parastatal can’t be overlooked here. Any option to extend support easily becomes habitual when it comes to public finance, something that is lending caution to the way the government is going to handle the debt assumption. If, God-forbid, TelOne makes any missteps, as other state owned entities have been known to do, what’s to say it won’t expect another helping hand in the future? Right now a huge part of its success is attributable to good management, but its shareholder, the government, has a tendency of making changes to corporate leadership based on a lot of other considerations. That same fate could befall TelOne at some point, potentially derailing any long term plans it might have. Perhaps the challenge to clear a huge debt is what TelOne needs to maintain its positive trajectory and thinking outside the Zimbabwean business strategy box? This might lead to innovation and a more responsive look at what market needs. In all likelihood, the government will assume TelOne’s debt passing on a huge gift to the Telecoms operator. However, let’s not forget the other side of this $163 million gift. The origins of the debt are legacy in nature and therefore the clearance is not a favour but rather a correction of a prior distortion. Whats more interesting is for us to see who the creditors are. My major concern is change of management. We have now a management at TelOne who understand and making a difference in the right direction. If gvt keeps to its word of perfomance based reward, then Chipo Mutasa must be one of the few. But thats not how things works in Zim gvt, its how loud you sing the party slogans. Right now the Party is looking for “donations” for its congress in Dec, if the likes of Chipo Mutasa does not “donate” handsomely, l bet my last dollar that her job will be on the line. Look at the mess caused at Town House and PSMAS. Look at the all the specialist loss making gvt owned companies. You wonder how they keep their jobs! !